Foreclosure is the legal and professional proceeding in which a mortgagee (bank), or other lien holder, usually a lender, obtains a court ordered termination of a mortgagor’s (owner) equitable right of redemption. Usually a lender obtains a security interest from a borrower who mortgages or pledges an asset like a house to secure the loan. If the borrower defaults and the lender tries to repossess the property, courts of equity can grant the borrower the equitable right of redemption. Other lien holders can also foreclose the owner’s right of redemption for other debts, such as for overdue taxes, unpaid contractors’ bills or overdue homeowners’ association dues or assessments. 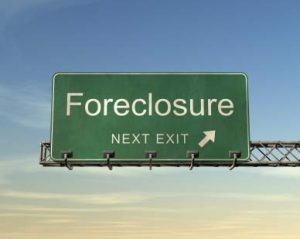 Approximately 280,000 Americans lost their residential properties as a result of foreclosure in 2006. Yet that is not the shocking bit, 50% of these people didn’t have any communication whatsoever with their bank. By May 2010, 77% of the nation’s large metro areas will post Year-Over-Year Increases in Foreclosure Activity. A further sixty percent of the homeowners reported that they were unable to follow the terms set in their mortgage deals. Many people avoid calling their lender when they have money troubles. Most of us are embarrassed to discuss our money problems with others or believe that if lenders know we are in trouble, they will rush to collection or foreclosure. Foreclosure is expensive for lenders, mortgage insurers and investors. HUD/FHA, as well as private mortgage insurance companies and investors like Freddie Mac and Fannie Mae, require lenders to work aggressively with borrowers who are facing money problems. Do not assume that your mortgage problem will quickly correct itself. Don’t lose valuable time by being overly optimistic. Contact your mortgage lender to discuss your circumstances as soon as you realize that you are unable to make your payments. If you have an ‘ARM‘ Adjustable rate Mortgage, get out your mortgage papers to try and figure out when, by what amount, and also how regularly your monthly installments could rise. Should you notice worrying times in the future, now is when you should consider refinancing, or reaching out to a finance counselor. Most important, call up or go to your bank, Mortgage Company, or financial creditor immediately. Refinance. Allows the homeowner to refinance the present mortgages through fresh financing. For instance, you could refinance from an ARM, to a non-adjustable loan. Negotiate a contract to adjust the rate of interest or other such terms of the loan mortgage. Long-term plans which let house owners who have been lagging with their repayments to repay more every month on their house loans, slowly catching up with their repayments. Postpone the interest or payments arising from the loan for a specific term. Short Sale. Permits the borrower to dispose of the property for less than the mortgage loan, and then consider that the home loan has been completely repaid. For any person or individual who is missing their loan payments, our suggestion is: Keep the lines of communication open with the lender. The more you have a frank and open discussion with your bank, mortgage company or financial creditor, the more willing cooperation you indicate to them, in that you are willing to make every effort to turn things around.